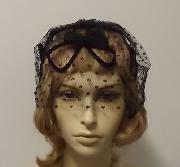 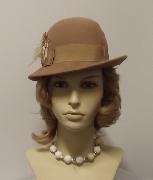 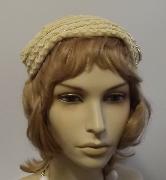 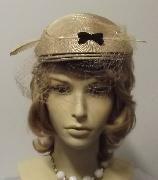 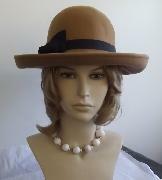 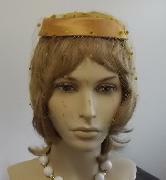 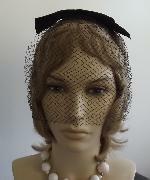 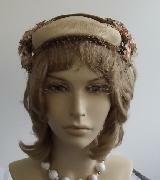 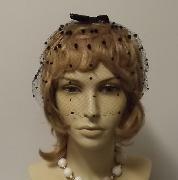 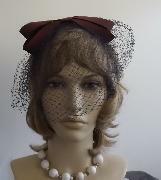 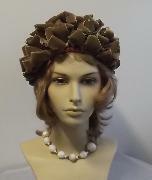 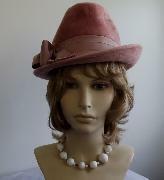 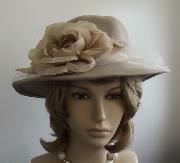 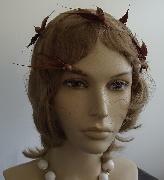 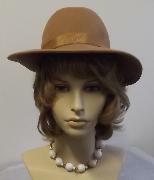 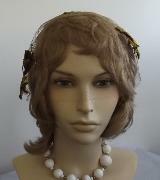 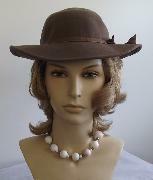 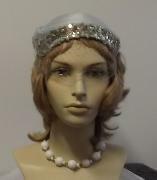 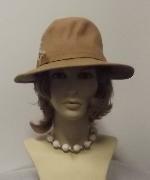 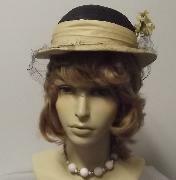 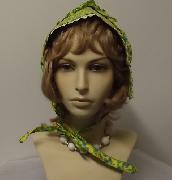 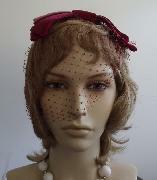 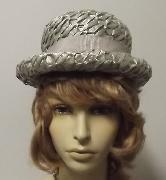 Vintage lady brown hat with what looks like ribbon with rhinestones on the one side . 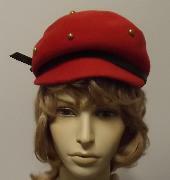 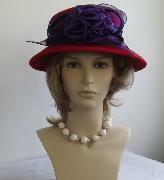 Berat Hat:Black Felt Beret~Hats, Inc.
Church Hat:Red-Black-Purple Felt Fancy Church Hat w Puple Rosette & Feathers. 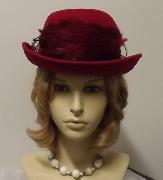 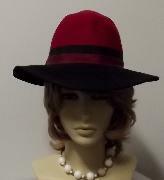 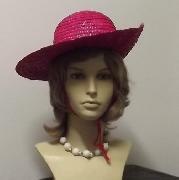 Church Hat:Solid Red Felt Fancy Church Hat With Satin Rosette & Feathers. 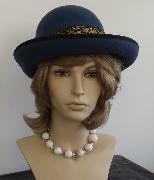 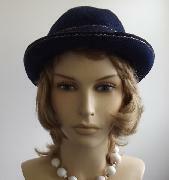 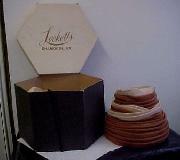 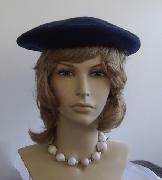 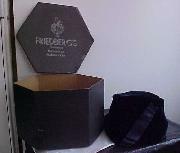 Cloche Hat:Navy Blue Velvet Cloche Hat with Ribbon & Box. 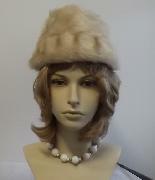 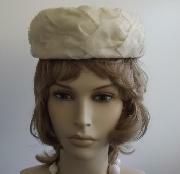 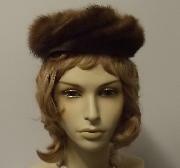 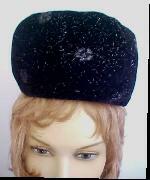 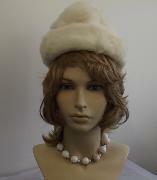 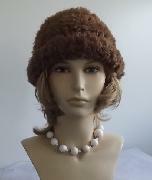 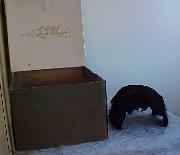 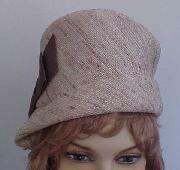 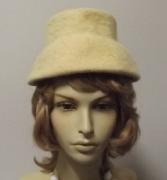 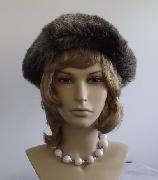 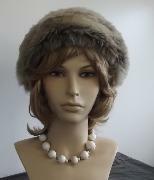 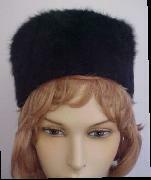 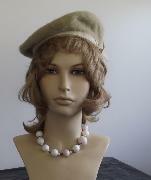 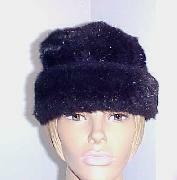 Fur Hat:Ladies Chocolate Brown Faux Fur Hat w/ Box. 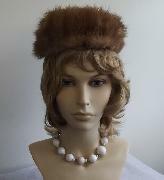 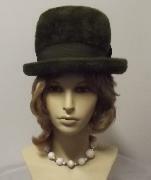 Vintage two tier Brown Faux Fur Hat This nice faux fur hat has a dark brown band 3" up from the rim.from the rim to the top about 6"
Ladies Hat:Black Velvet Hat w/ Sloping Brim and Bow and Box. 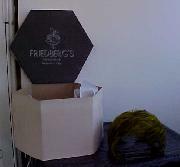 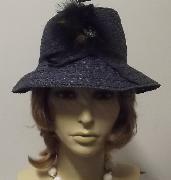 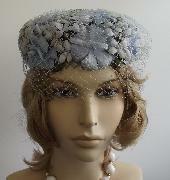 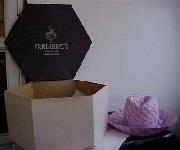 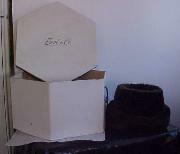 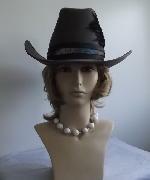 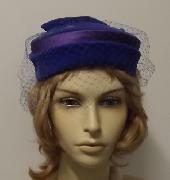 Ladies Hat:Large Brim Blue & Lavender with Box. 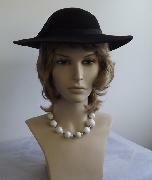 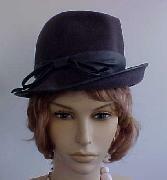 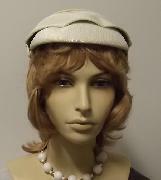 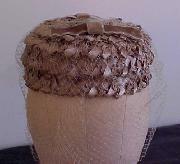 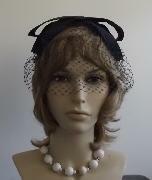 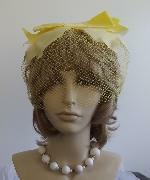 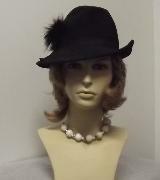 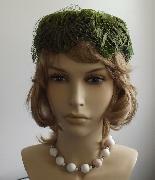 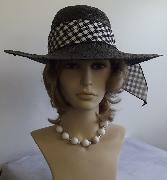 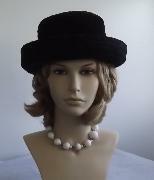 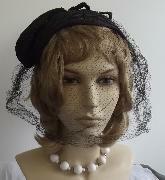 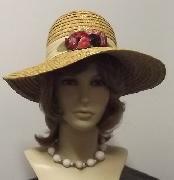 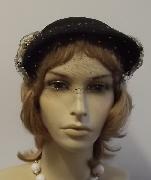 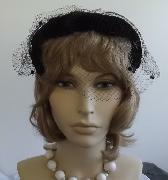 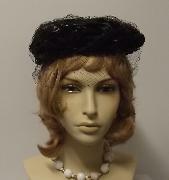 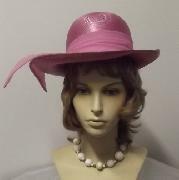 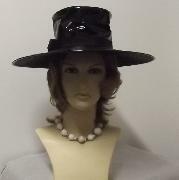 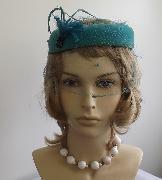 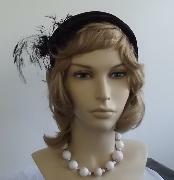 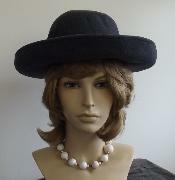 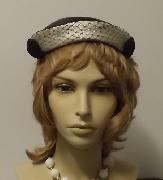 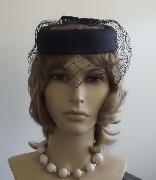 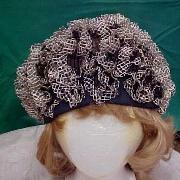 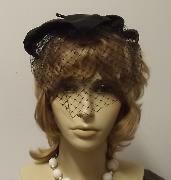 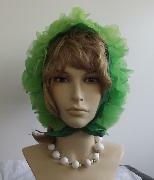 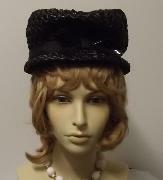 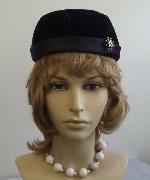 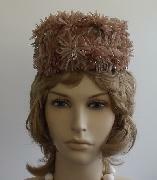 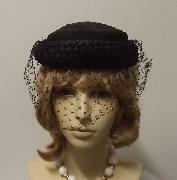 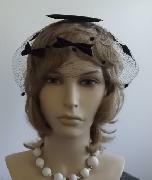 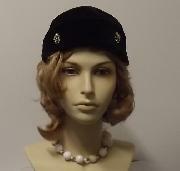 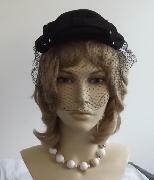 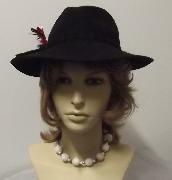 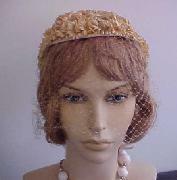 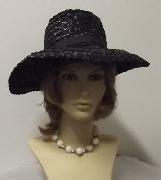 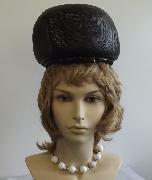 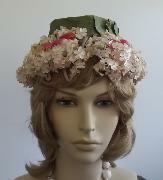 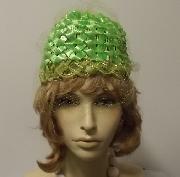 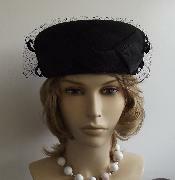 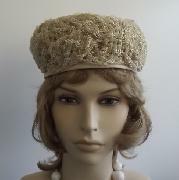 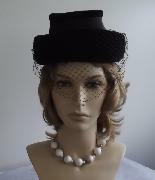 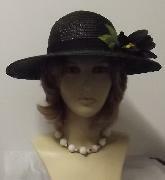 Pillbox Hat:Floral Pillbox Hat "Union Made"
Pillbox Open Crown:Little Black Straw Pillbox Hat~ CLASSY! 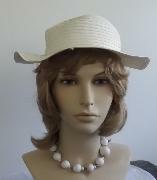 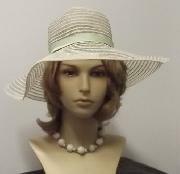 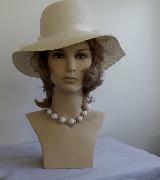 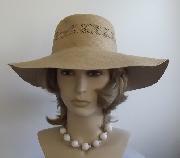 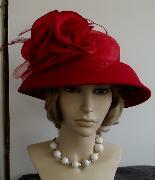 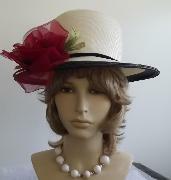 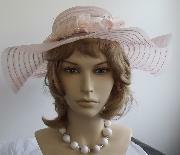 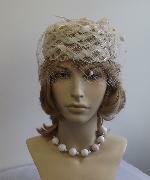 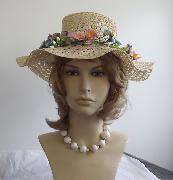 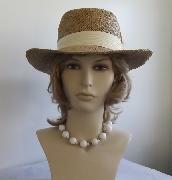 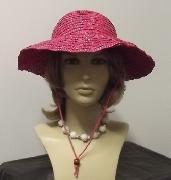 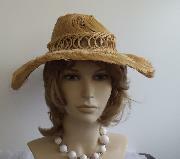 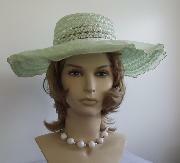 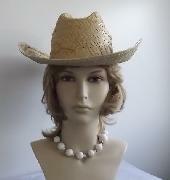 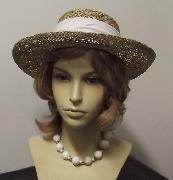 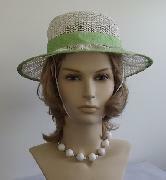 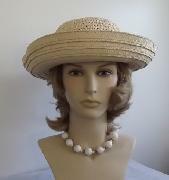 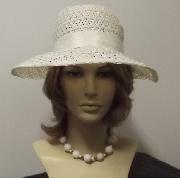 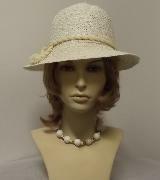 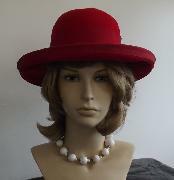 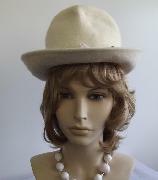 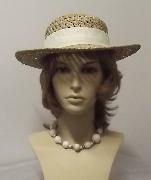 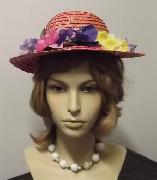 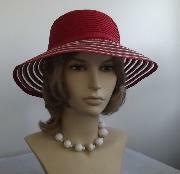 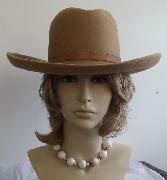 Straw Hat Coral colored with white Linen. 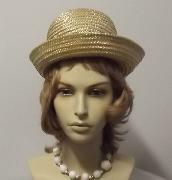 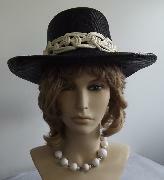 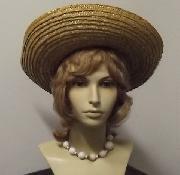 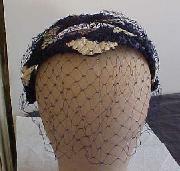 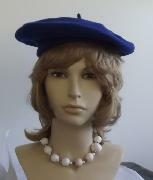 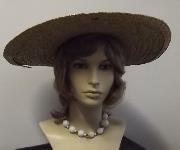 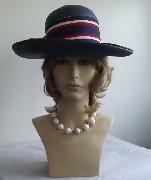 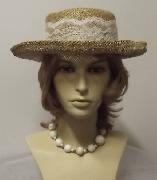 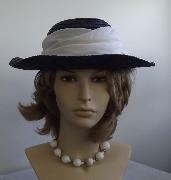 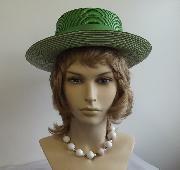 Vintage Ladies Straw Hat Navy Blue & White w/ Netting In good used condition. 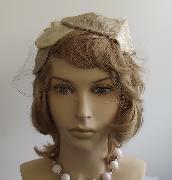 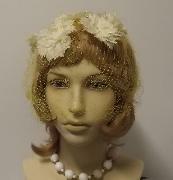 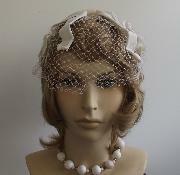 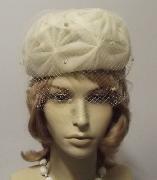 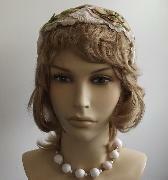 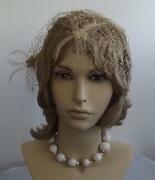 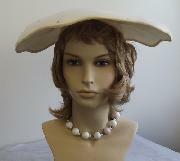 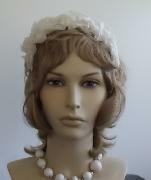 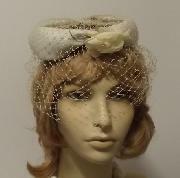 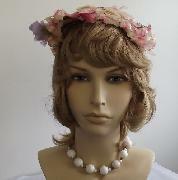 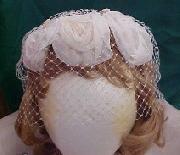 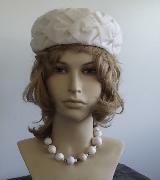 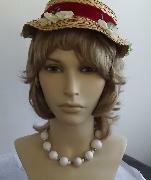 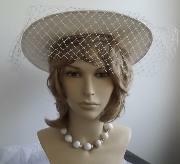 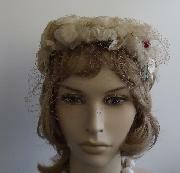 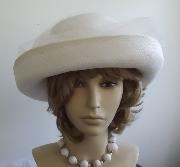 Beautiful Vintage White Straw Hat w/ Tulle & White Flowers.. 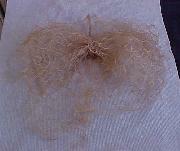 This is my absolute favorite piece of fluff!!!! 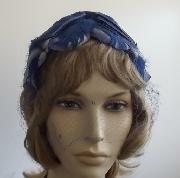 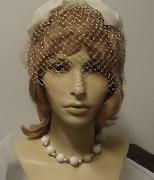 Vintage ladies Baby Blue Whinsey with blue Velvet Bow, Netting & White Flowers..The netting on the one side has some tears. 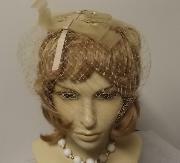 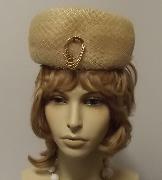 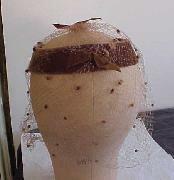 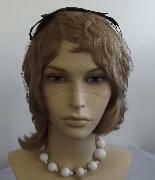 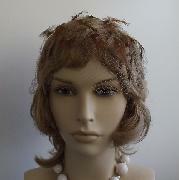 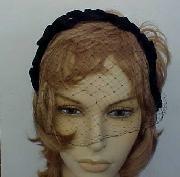 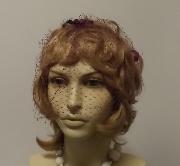 Vintage ladies Tan Whinsey with tan Velvet Bow, Netting ..In good used condition..